The building is purpose built as a museum and workshop and sits several acres of gardens. Binalong is a small unspoiled village one hour from Canberra and three hours from Sydney. There is ample car parking at the Museum and facilities for barbecue and picnics. The Museum comprises model steam engines and locomotives and these are usually cars being restored as rebuilt in the workshop. These are sectioned engines showing how motor vehicles engines work. 10.00am-5.00pm Mon, Wed, Fri and Weekends. Guided tours (by arrangement), shop, picnic and barbeque facilities, catering for large groups available on request. Vintage and classic vehicles. Working workshop as part of museum. European vehicles primarily. 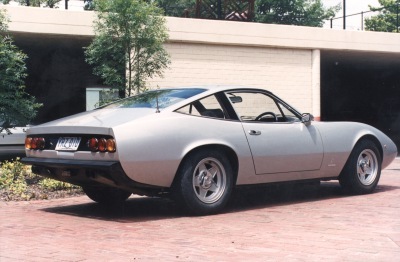 A "grand touring" car, bodywork designed by Pininfarina. A V12 engine of 4.4 litres capacity. Four overhead camshafts producing 320 b.h.p. 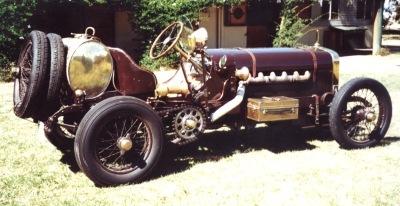 A 1908 car into which has been inserted a 1918 aeroplane engine to make the sort of car which ran in pre-WWI motor races. 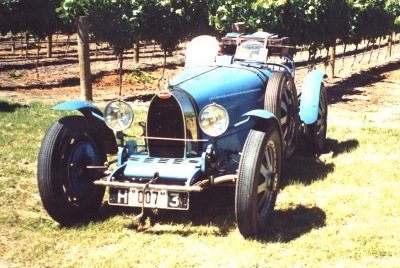 The engine is a V-12 of 27 litres capacity and drove from Darwin to Canberra in the bicentennial rally. One of the most successful racing cars ever designed. In present ownership over forty years and raced until recently.